Guide to the best Ionian Sea marinas: discover the best places to drop anchor off islands large and small in the Ionian Sea in Greece. The Ionian Sea is an extension of the Mediterranean to the west of Greece, and would be an ideal addition to a yacht charter itinerary that also takes in Sicily and the South of Italy. The huge number of Ionian Islands includes Corfu, Zante, Kephalonia, Ithaka, and Lefkas, among many others. A fantastic climate and well-preserved local traditions will give you a real feel for authentic Greek island life during your holiday. Located in the town of Kalamata in Peloponnesus, this well-organised and friendly marina can welcome boats of up to 25m in length. It offers immediate access to the centre of the town as well as a range of practical facilities. The port area also has a good choice of shops and restaurants. 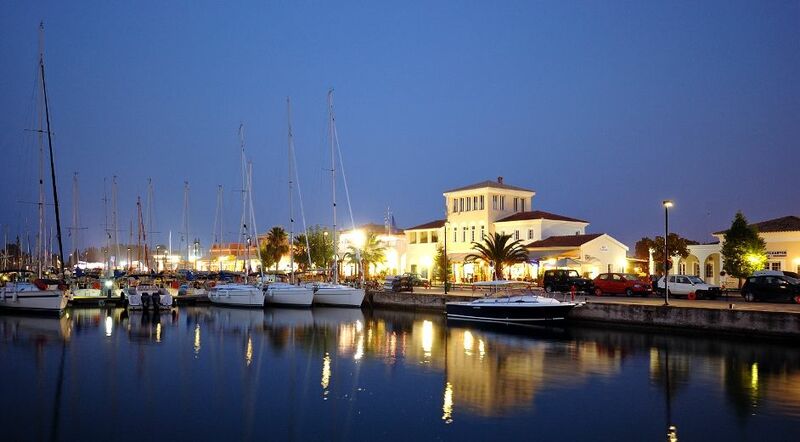 Marina Lefkas is a modern marina with outstanding facilities available for yachts of up to 45m. The beautiful setting of the harbour is certain to add a touch of magic to your holiday. A high standard of customer service will help you find everything you need to prepare for an onward journey. The Cleopatra Marina is a state-of-the-art installation on the Aktion peninsula and offers a very high standard of services and facilities to yachts of up to 30m. Surrounded by the deep turquoise waters of the Ionian seas, it offers guests a lovely location for an overnight stay on a Greek sailing holiday. Gouvia Marina has an easily accessible location not far from the airport on the island of Corfu. With moorings available for boats of up to 80m, this large modern marina has a comprehensive range of facilities. The port has a beautiful setting and a long maritime history to discover on your voyage.